In the 1722 Treaty of Albany, the Iroquois agreed to stay west of the Blue Ridge. Governor Spotswood succeeded in opening up lands for colonial settlement in the Piedmont, on the east side of the Blue Ridge. Spotswood and later Governor Gooch were not satisfied with populating just the Piedmont with Protestant colonists loyal to King James I and King Charles I. They also sought to block the Catholic French from encroaching on lands claimed by Virginia west of the Blue Ridge. Governor Berkeley had a two-pronged defense strategy to protect existing settlements against hostile Native Americans and potential French supporters. He built forts staffed by local militia, with rangers to patrol the backcountry and raise the alarm if a group of Iroquois or Susquehannocks arrived. Berkeley also relied upon tributary tribes, those dependent upon the Virginia government after the Third Anglo-Powhatan War, to block occupation of the backcountry by "strange" Native Americans. Berkeley's strategy avoided open warfare and the associated cost of paying the militia to attack Native Americans who hunted/raided through the Piedmont intermittently rather than lived in easy-to-find, easy-to-destroy towns there. That strategy also preserved the governor's personal arrangements with fur traders, both European and Native American, who increased his wealth. The strategy provided no mechanism to resolve settler-Native American conflicts peacefully, or to control retaliation by settlers who felt aggrieved by the loss of pigs or cattle to hunting parties. A dispute in Stafford County erupted into reciprocal murder between settlers and Dogue's, but the militia then attacked the Susquehannocks and triggered a wider war. The failure of Berkeley's strategy to ensure peace on the frontier led in part to Bacon's Rebellion in 1776. Governor Spotswood proposed in 1712 to rely upon tributary tribes rather than to force out the remaining Native Americans living on the Piedmont. The House of Burgesses was unwilling to provide funding for that strategy; the legislators preferred using taxes to finance Virginia militia that might fight Native Americans directly. By 1720, there were few towns occupied by Native Americans in the Virginia Piedmont or the Shenandoah Valley. 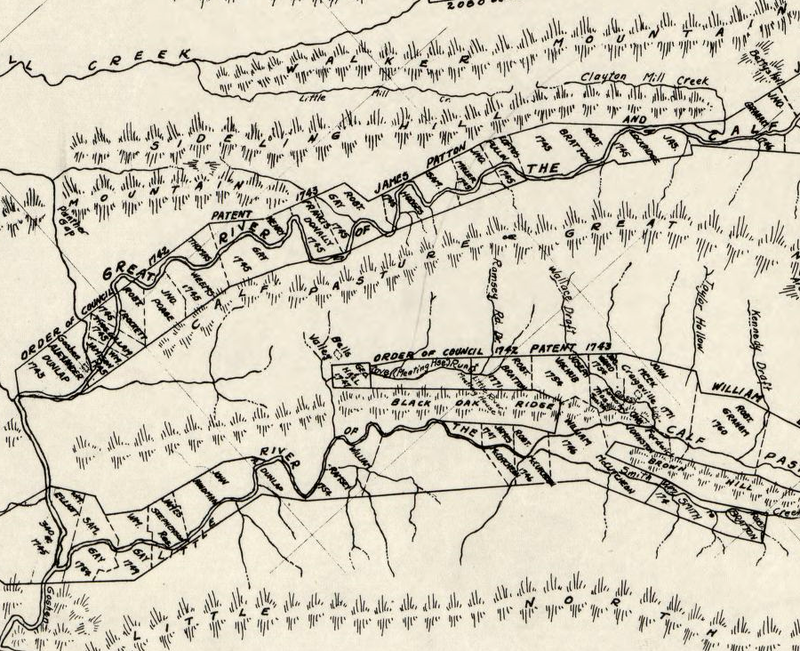 The Monacan, Manahoacs, and others recorded by John Smith had moved west or north. 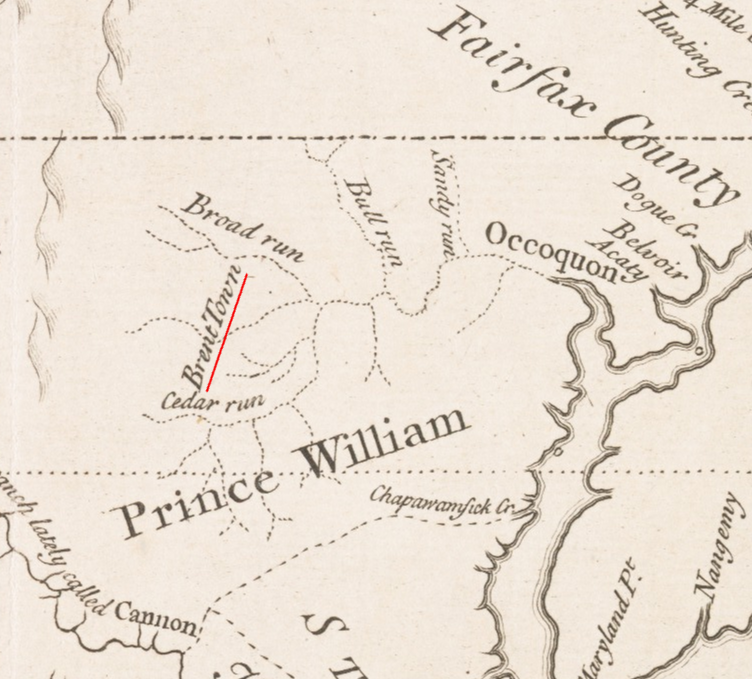 The Piscataway who had been displaced from Maryland around the time of Bacon's Rebellion had recently occupied a town on the Potomac River on Heater's Island near Point of Rocks, but were moving north to live in other communities. Spotswood recognized that the main potential for conflict in the Shenandoh Valley was with the Iroquois. They lived in towns in New York near the Finger Lakes, but traveled through the Piedmont and Shenandoah Valley on raids against the Cherokee in the Tennesseee River watershed. Spotswood's solution also required recruiting new immigrants to move onto the land west of the mountains. Without forts, tributary tribes, or settlers who perceived Williamsburg as their seat of government, there would be no effective barrier to French occupation or raids by groups such as the Shawnee through the gaps of the Blue Ridge into the Piedmont. As colonial families had expanded in Tidewater, new farms had been established north to the Potomac River and west to the Fall Line. Traditional Virginia society slowly filled Tidewater, but natural increase and immigration into Chespeake Bay ports did not produce enough new English colonists to expand west of the Fall Line until the 1720's. At the time Spotswood formulated his defense-by-settlement strategy, extensive tracts of vacant land were still available in the Piedmont east of the mountains There was no demand from new immigrants, or from indentured servants who served their terms and gained their freedom in Tidewater, to push even further west across the Blue Ridge. The solution was to import even more immigrants, even if those immigrants were not English. London officials had long encouraged using foreign Protestants to settle the frontier, rather than depopulating England itself. A key target for recruitment were Huguenots, the Protestants who fled France after Catholic King Louis XIV revoked the Edict of Nantes and ended religious toleration in 1685. 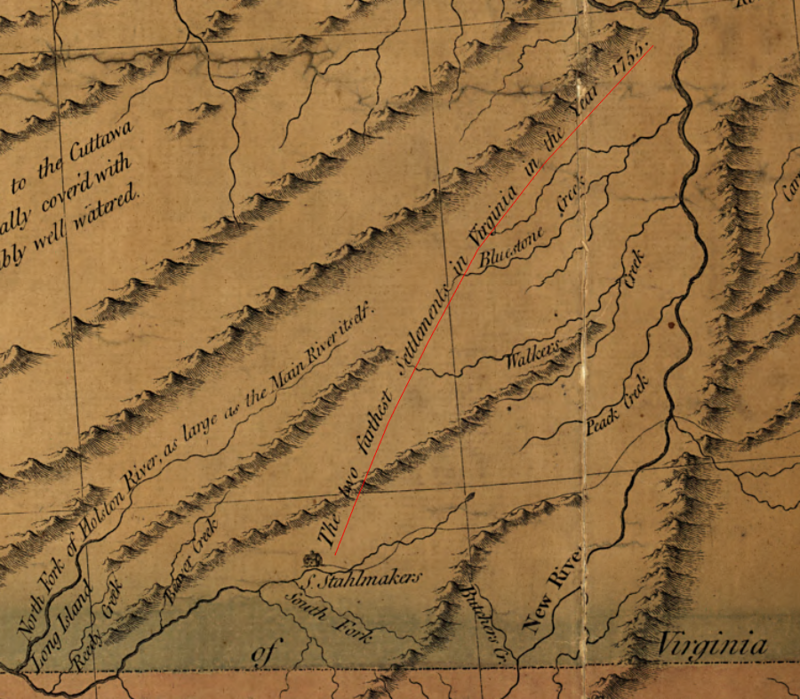 The challenge of settling the lands east of the Blue Ridge was obvious in the 1720's. Recruiting people to move even further west required flexibility in determining who would be acceptable. To settle Virginia west of the Blue Ridge before the French might arrive, religious and cultural conformity became secondary concerns. Virginia's governors did not recruit Catholics, but they loosened the legal obligations of all Virginians to be Anglicans who viewed the English monarch in London as both their political and religious leader. By the 1720's, the source of potential new settlers for Virginia's backcountry became Pennsylvania. (The supply of French Huguenots was largely exhausted.) Quakers had encouraged immigration from Europe without discrimination, and Philadelphia became a major port of entry. Governor Spotswood and Governor Gooch calculated that land-hungry immigrants who reached Philadelphia and moved west to Lancaster were willing to keep moving. Virginia offered what those immigrants sought - high-quality farmland at low prices. 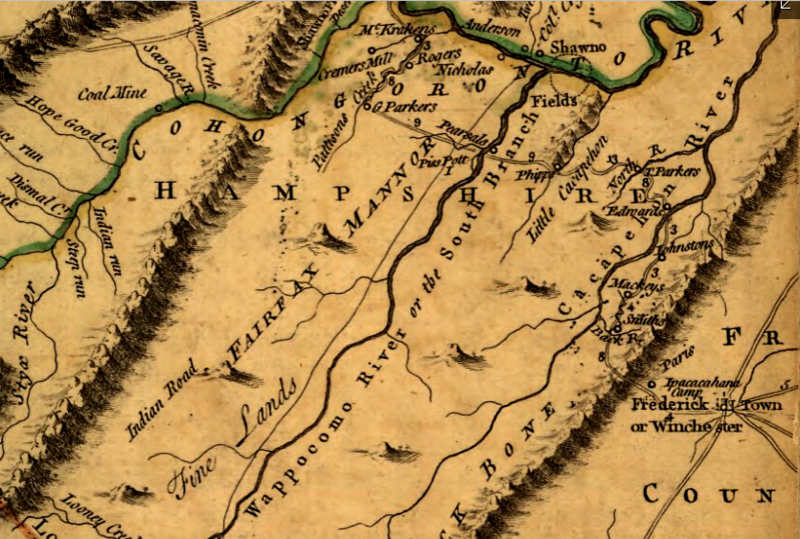 Governor Spotswood and the Knights of the Golden Horseshoe had explored the Shenandoah River valley in 1716, and the future potential of raising crops and livestock there was obvious. Spoottswood and Gooch succeeded in recruiting Scotch-Irish immigrants who came originally from Northern Ireland, and Germans who originated from the Rhine River valley. Those immigrants established communities where religion was based on Presbyterian tenets and various pietists faiths including Mennonites, Dunkers, and United Brethren. West of the mountains, the new immigrants were not Anglicans. They brought traditions and beliefs not consistent with the established state religion of Virginia - and they were not slaveowners either. As Tidewater farms had expanded into the Piedmont in the 1720's, the economy was based on tobacco farming using slave labor. In contrast, the first permanent colonial settlers west of the Blue Ridge grew wheat and other grains rather than tobacco. Slavery was not a part of the Scotch-Irish or German immigrant culture. The first European colonists to establish a permanent home in the Shenandoah Valley may have been a German group led by Adam Miller (or Mueller). While in Williamsburg, he had learned of the opportunity in the Shenandoah Valley from some members of Spotswood's 1716 expedition. Miller crossed the Blue Ridge, perhaps at Swift Run Gap where modern Route 33 crosses, and then returned to Pennsylvania to recruit others to settle in the area. Land titles in the area were not reliable at the time. Lord Fairfax's land office was located in the Northern Neck until he moved it to Greenway Court in 1761. From it, Fairfax's agents sold parcels within the boundaries of Charles II's grant to the "headsprings" of the Rappahannock and Potomac rivers. In addition, Fairfax created several "manors" to define where he would retain ownership, such as the South Branch Manor along the South Branch of the Potomac River. The colonial land office was located in Williamsburg from 1699-1776, and it had authority to sell land within the rest of Virginia. Both offices claimed the right to sell land west of the Blue Ridge until the 1740's, when the boundaries of the Fairfax Grant were defined and surveyed. Colonial officials were in a hurry to create a loyal population in the Shenandoah Valley as a buffer to block potential French incursions. Populating the area with authorized settlers who relied upon official government operations to ensure land titles would also avoid creation of a sanctuary similar to the Dismal Swamp. Equally important, the Tidewater gentry would benefit from obtaining large land grants west of the Blue Ridge. 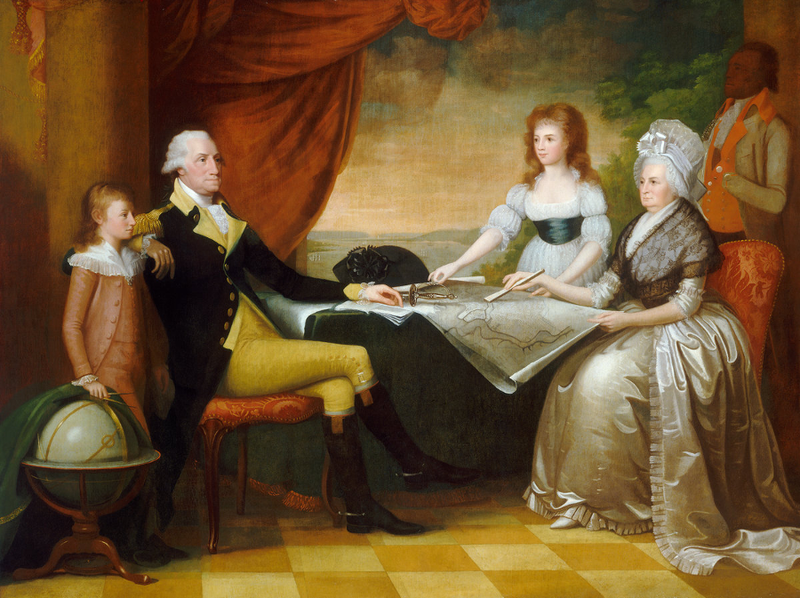 Getting land for free, then selling smaller parcels to new immigrants, was the easiest path for the First Families of Virginia to create wealth before the American Revolution. Official land grants would incentivize the well-connected Virginia elite to find buyers dependent upon legal land titles, before the area was occupied by a large number of squatters who owed no allegiance to Virginia's colonial government. The colonial government in Williamsburg faced competition when it issued grants. Lord Fairfax asserted his claim to lands between the headsprings of the Rappahannock and Potomac Rivers. By his interpretation of the Fairfax Grant, he owned much of the Shenandoah Valley. The threat that Fairfax might collect enormous payments for a vast stretch of land spurred Governor Gooch and his Council to give 40,000 acres in three land grants to John and Isaac Van Meter, over the objections of Fairfax's land agent. The boundaries of the Fairfax Grant were surveyed in 1736; afterwards, grants from Williamsburg were located further south. Anticipating population growth as settlers migrated from Pennsylvania into the Shenandoah Valley, the General Assembly began to create new county governments west of the Blue Ridge. Frederick and Augusta counties were authorized in 1738, though actual government operations were delayed until a sufficient number of people occupied the land. The 1744 Treaty of Lancaster with the Iroquois removed their claims to territory between the Blue Ridge and the Allegheny Front. The Iroquois retained the right to travel through the Shenandoah Valley in order to trade and raid further south, but land speculators anticipated that peace would attract settlers and asked the Council for major land grants.